Of all of the beautiful forts in India, Jaisalmer is the most beautiful I’ve seen so far. Partly it’s the yellow sandstone, which is very pleasing to the eyes and which glows like gold in a dessert sunset. But it’s also not overcrowded, the air is clean, and it has a small-town friendliness. Walking around the fort at night, men ask you to share their campfire, or to simply sit and talk for a little while. Yes, people build campfires in the streets. This is not unique to Jaisalmer… I’ve seen it in every city I’ve visited, including cosmopolitan Delhi. Twice I set out in the evening with the goal of getting a massage, and twice I failed. Folks would stop me along the way to talk, to spend the evening with company, practicing English with an exotic foreigner. ‘Tony’, Muraj, and others whose names I’ve forgotten, we would sit and discuss politics and human nature. Time would pleasantly pass and suddenly I would have to get back to Dan. Sitting and chatting on the fort ramparts, you can look down at the rooftops below. People eat dinner or just relax there, watching the sunset. Kids fly kites which flutter upwards to the height of the fort. On a hill across the valley is an elaborate cenotaph, where the bodies of brahmans are offered to the sky. 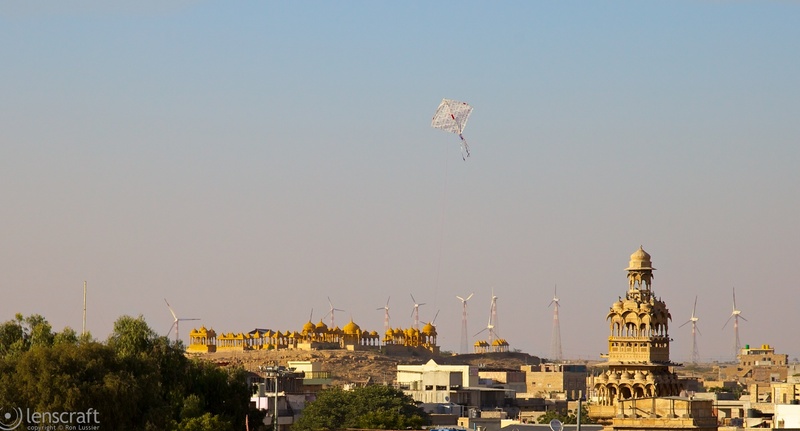 Beyond the cenotaph lies the wind farms that help power Jaisalmer. It’s my last day in Jaisalmer. Dan and I are taking the 4:30pm train to Delhi, and I’m feeling sad about leaving Jaisalmer, a place I find so comfortable. We go out in the morning for a walk. Along the way, a boy starts pestering me. “Please sir, fix sir, very good” he says, gesturing at my shoes. I look down… my shoes seem fine. “Please sir, very good job, I fix.” The boy is perhaps 12 years old, with dark sad eyes. I ignore him for as long as possible, but the boy is persistent. Ten minutes later, I’m sitting on a bench barefoot while he works on my shoes. His name is Sunni. He works with a sort of needle/crochet hook, adding an interlocking series of stitches around the toe of my shoes. He tells me that his father shines shoes, and that some day he will shine shoes too. When he’s finished stitching my shoes, he brushes them off and proudly hands them back. He also sells me a pair of insoles, which I don’t need but which I purchase. I give him Rs200, or $4. Around noon, I finally get the massage. My masseur is handsome and speaks English with a German accent. That alone would have been enough, but he’s also a very talented masseur. The massage lasts for an hour, involves a large quantity of scented oils, and leaves me completely blissed out. I wander back towards the city gate, and suddenly Sunni is back. “Sir, you like shoes? Good, sir, yes?” he says. “Please, sir, chapati sir?” he pleads, gesturing towards his mouth. “One chapati, sir, please?” His eyes are bottomless wells of sadness. “Chapati? Chapati? Chapati?” It’s too much. I lead Sunni towards a nearby bakery, where he points to a cinnamon roll. I buy it for him (Rs35), clearly amusing the shop owner. Sunni thanks me and disappears. I wonder how many cinnamon rolls Sunni eats every day. There is one more thing to do before leaving Jaisalmer. 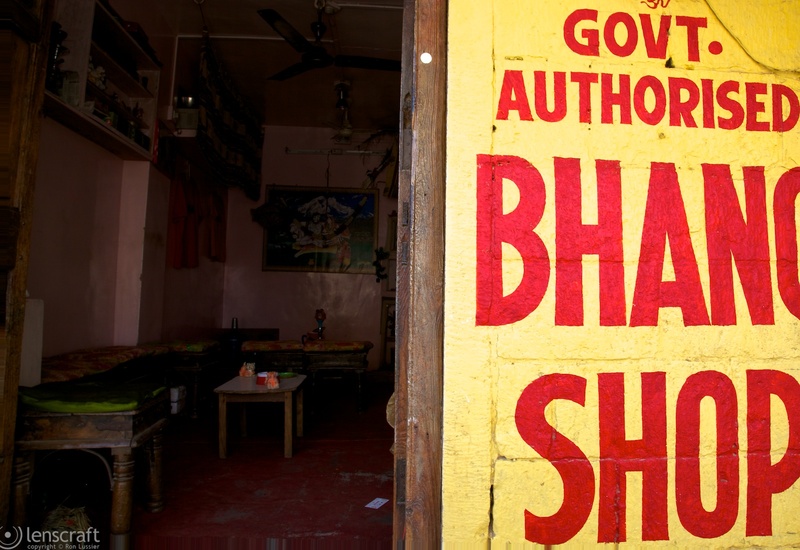 Right outside the city gate is a Government Authorized Bhang Shop. They’re like Amsterdam’s coffee shops, but in the walls of a 12th century fortress. This one belongs to a rail-thin man who calls himself Dr. Bhang. He wears his wedding jacket every day, a rich orange embroidered jacket, which he tells me he designed himself. (“Would you like to buy? I show you where!”) Dr. Bhang also wears dark sunglasses, and the overall impression is decidedly pimp-like. I order a ‘strong’ bhang banana lhassi. The lhassi is tasty, rich and creamy with chunks of banana and no weedy taste. While I drink, Dr. Bhang tells me that the use of bhang (marijuana) is traditional in Rajasthan, in Ayurvedic medicine (“To relieve the high blood pressure!”) and in Brahman religious rituals. A Brasilian girl comes in. She orders 20 bhang cookies, 100g of bhang chocolate, and a small bag of weed. She reconsiders her budget and returns 5 of the cookies. Her total bill is Rs700, or $14. Dr. Bhang tells me that I can purchase bhang only in Rajasthan, but that I can legally carry it anywhere in India. I sip my banana lhassi. Across the square I notice Sunni, squatting at the base of a tree, still eating his cinnamon roll. I know rationally that it’s wrong to encourage begging, but I have no regrets over this particular moment of weakness. There are two boys in the back of the shop, looking very pleasantly stoned. At first glance, I think they’re Chinese or Nepalese. One of them notices my camera and tells me he wants to be a photographer. We talk about photography for a while. 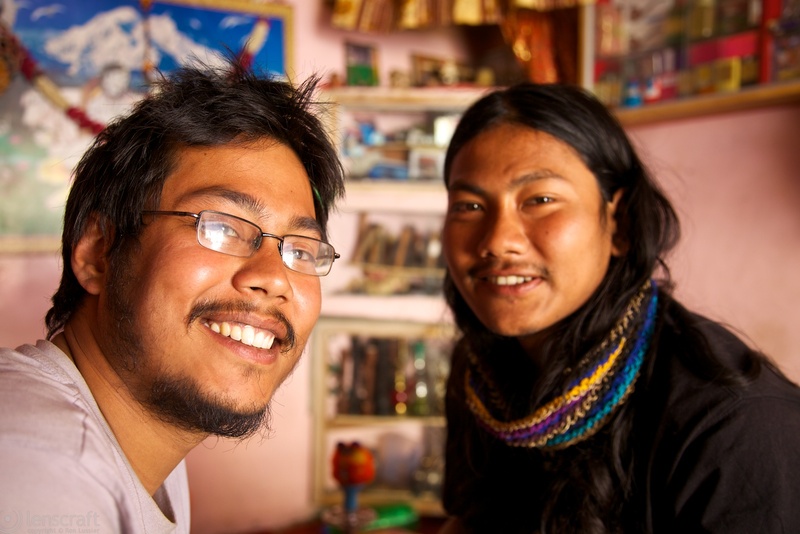 Actually, they’re both from India, from Assam, near Darjeeling. In the Himalaya, and close to Nepal. He takes my picture, and I take his. I want to be his friend. I walk back to my hotel. 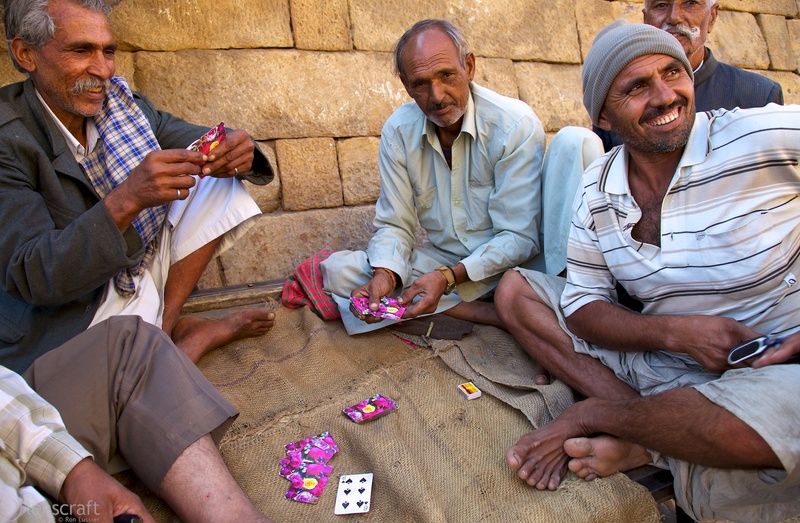 On a cart parked by the fortress walls, a group of men play cards. They’re amused that I want to photograph them. Back at the hotel, we pack everything, ready to go to the train station. I take a final photo of Chortu, the Nepalese houseboy who has been taking care of us during our stay. I also help Hira set up a gmail account to replace his Yahoo account, which has stopped working. 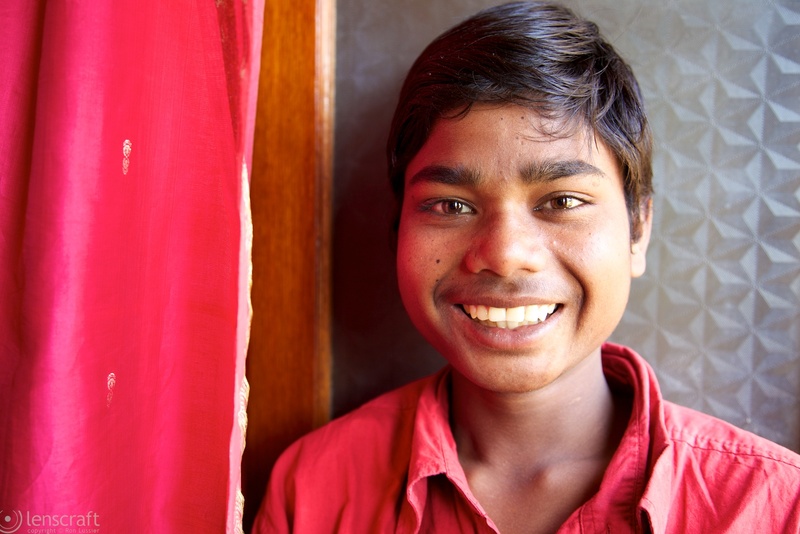 Hira and Chortu both work as houseboys at the Hotel Shanti Palace, but they could not be more different. 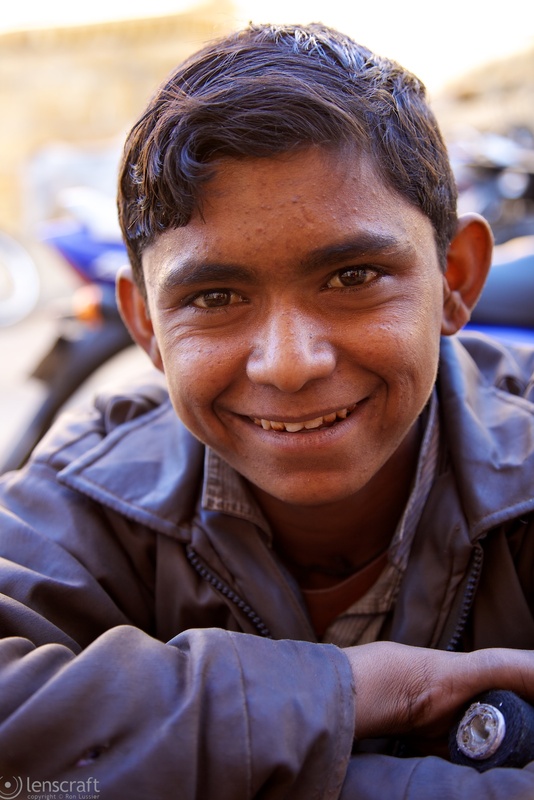 Chortu is a ray of sunshine, 13 years old, far from home, and working to help support his family in Nepal. He always has a beautiful open smile, and loves having his picture taken. Dan and I both want to adopt him. Hira is from a nearby village. At 20, he is already resigned to his place in life. When we talk to him about his future and what he wants to make of his life, he tells us that it is too late for him in this life. “Maybe I will come to America in the next life” he says, looking defeated. Hira is a fairly intelligent guy, but he can’t seem to imagine making a better future for himself. We go to the Jaisalmer train station, which is surprisingly uncrowded. Dan and I find our seats, which are in separate (but adjacent) compartments. I’m alone in mine for a while, getting settled, when suddenly three army men appear, fussing around my compartment. They hang a suit which blocks most of the window, and then drop a bag into the space between the seats, blocking most of the leg room. I’m beginning to be amazingly stoned, and my compartment is filling with soldiers. I begin to panic. Then the army men are gone, and a new soldier appears, escorting a south american dictator to the seat next to me. Well, not an actual south american dictator, but clearly this Indian man could play one on television. He is wearing a khaki vest over a navy button-down shirt. I can’t see his eyes behind his dark sunglasses, and he sports a moustache that broadcasts power. I say “Namaste” and the dictator only grunts. Luckily, Dan negotiates with a nearby family to swap bunks, so Dan and I can share a compartment, and I leave the dictator behind. For the next few hours, I giggle as random bhang-fired thoughts explode in my head. Dan alternates between shushing me and giggling with me. We race through the night, in our bunks, trying to sleep as the horn blares from the front of the train. Tomorrow, a brief return to Delhi. 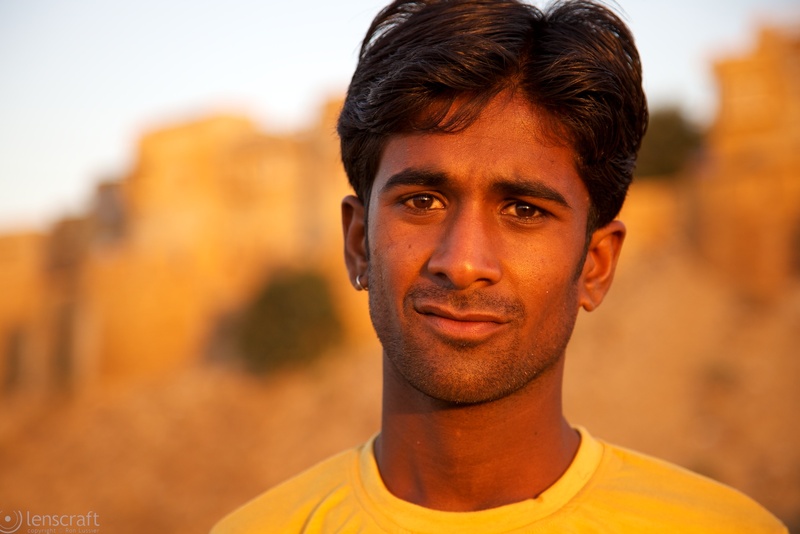 This entry was posted in India and tagged jaisalmer, marijuana, travel. Bookmark the permalink. Someone from the Bay Area is a bit in love with your trip… at least your raconteur•ing of it and all these unspeakably luscious photos.